Androula and I set off for Lefkosia early on Monday morning with a list of people to visit. Up in Treis Elies it has been pretty chilly especially at night, I wish I’d brought my hot water bottle and a few more warm clothes! Down on the low lands though the temperature is about 10 degrees warmer. It was a sunny day and a pleasant drive. Our first stop was my Uncle’s house to collect four boxes of my books, he is kindly storing them for us. After a pleasant turn around his garden where he is growing all manner of vegetables and flowers in pots, we set off again. The next stop was a large bookshop Solonion, one of the first to be established in Lefkosia over 30 years ago with a very large selection of both Greek and English books and amongst them is ‘Androula’s Kitchen’. After a brief chat with the owner we set off again to park in the centre of town so that we could walk to the Turkish side over the Green Line. By now we were both hungry and in need of lunch so we headed for the Buyuk Han built by the Ottomans in 1572 as a hostlery for travellers, it’s now used as a place of trade for souvenirs and local crafts as well as a few restaurants. We headed for one that Androula frequents and ordered a sort of kofta with salad and rice followed by bourekia tis saatches, delicious. We made a few more stops one of them was at a friend’s house in Lefkosia which is an old house built about 100 years ago and the owners have restored it beautifully, re-discovering some of the original features. This was a delight for me to visit as I have long wished to see inside one of these traditional town houses. Once inside the front door you are in the ‘iliakos’ which is a corridor through the middle of the house leading to the courtyard garden. There are rooms either side and around the courtyard, there is an open veranda area which is a cool, pleasant place to sit and acts as an outside room. The main room is large and features a huge stone archway as does the veranda area, long windows are either side of the room making this an airy light space. Other rooms line the sides of the corridor acting as bedrooms and studio areas. I was thrilled to have this opportunity to not only see inside the house but learn about the process of restoration. I have taken so many photos of dilapidated buildings it was a refreshing change to see the restored ones. After a few more meetings we next visited another old restored house in a different area of Lefkosia which used to be a village and now is connected to Lefkosia. This house has been added to with new modern areas that are very sympathetic with the design and has a very contemporary feel. This house has a very attractive garden with old date palms in the corner. Now it was time to wend our way back up into the mountains. We started off in sunshine but soon encountered a violent thunderstorm with heavy rain which turned into huge hailstones. We luckily escaped the hail stones but they lay like a sheet of ice on the road and it was fortunate that another car had gone before us making a pathway in the ice. With the very windy roads and the dark and ice it was a tense journey home but thanks to Androula’s experience in such conditions we arrived safely. My trip to Cyprus is fast approaching and in the last few days I have now added a book signing event to my itinerary! As soon as I’d published Androula’s Kitchen people would ask me if I was doing any book signing events. For authors with agents and publishers behind them this is all part of the marketing machine but I couldn’t think how I was going to organise it on my own a complete unknown with no connections or any idea how you go about such a thing. It would involve advertising and a venue and payment of some kind surely? When I had decided to make the trip to Cyprus I thought this might present an opportunity to organise something; what I needed was a place where I could sit and have a coffee and a chat while I wait for punters to ask for a book and a signature. Preferably it needed to be somewhere with a relevance to the book. I mention a fabulous vegetarian cafe called Inga’s Veggie Heaven that is in the Chrysaloniotissa area of Lefkosia, an area that has seen a lot of regeneration in recent years. Many of the interesting old houses are being lovingly restored and this is turning into an area that is truly a delight to wander through and which has attracted a lot of artists. I’d happened on it almost by chance on my first visit to this district, it’s the corner building of a craft centre where several artists and craftsmen have workshops set around a courtyard with a small garden in the middle. The owner Inga Hadjipanayi is from Iceland married to a Cypriot. She makes her own bread every day and her food is a truly delicious vegetarian mixture of combined cuisines. When I returned a couple of years ago for a coffee she remembered me from my previous trip, which I have to say I was truly surprised by as I’d only been there once; we had a nice chat as she was having a lull after the lunchtime rush. My cousin Androula had taken some copies of Androula’s Kitchen there on a sale or return basis so it was a gradual thought process that led me to think this might be the perfect place to have an informal book signing event. Thankfully Inga likes the idea and with a bit of combined networking maybe we can do some good for both of us. I’ll certainly spread the word as much as I can. My departure date for my trip to Cyprus is drawing closer and closer, we are now into March, it’s only a few short weeks before I go and I still haven’t decided where I’ll be when. I have given myself a headache trying to work out the best plan of action. My dilemma arising from the fact that I will be staying in three locations during my stay all of which are a fair distance from each other and I need to be at a fourth location on two occasions which is not really close to any of them. I am also trying to do the trip on a very tight budget which means that hiring a car is only an option a part of the time. Public transport is fairly sparse in Cyprus and there are no trains. 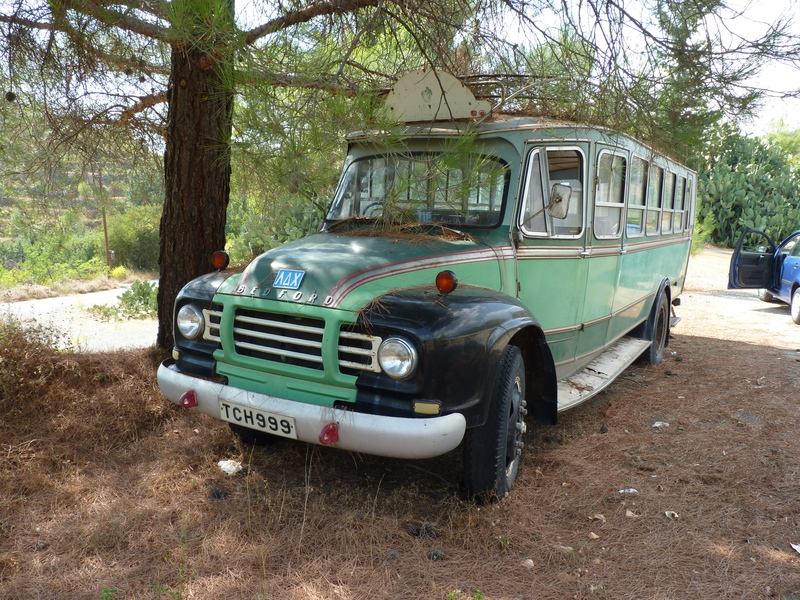 When I first visited Cyprus in the 1960’s buses were the normal transport for most people as few had cars and these bull- nosed Bedfords used to be ubiquitous over the island travelling to all the mountain villages. As the islanders became more affluent the cars increased and the buses declined. Recently the government has been taking steps to improve the public transport system to encourage more people to use it with some new super buses being introduced with low fares and you can travel for one euro, in the capital city Lefkosia the buses within the city walls are free. I am happy to experiment with using the buses, I like travelling as a passenger and viewing the passing landscape and villages at leisure, without the stress of negotiating traffic and finding parking spaces. At home I prefer the train. The mountains which take up a fair amount of the land mass, are not accommodating to a bus network and at present in Cyprus it isn’t easy to get all around the island without some use of a car even if it is a taxi. There exists a long distance taxi sharing service which uses a mini bus and you can book ahead to reserve a space. These seat about 8 people and run between the major cities but as with the bus service everything stops at 6pm, the witching hour it seems. I have been invited to give a talk at Larnaka Art College and this is proving to be my sticking point as it is a bit out on a limb from my two main locations although not far from Lefkosia. I have two optional dates that I can give the talk and one of them is on my last Friday which is the one I had originally scheduled for, meaning I can stop off on my way to the airport which is about 15 minutes away. I was happy with this plan until another date was offered when a group of English students were going to be present, unfortunately this does not fit in easily and I am reluctant to let it go. i will have another ponder and make a decision. I’m sure it will all work out fine. Weather is on my mind at the moment as I think I’m suffering from the lack of sunlight here in the UK. This is a problem they don’t have in Cyprus in fact they have the opposite. In the summer months, July ,August & September, the temperature soars and can vary, depending on where you are, inland or coastline, between low thirties to well into the forties in Lefkosia. In the Troodos mountains of course it is a more bearable temperature and this is where I would flee to in the summer, if I had to live in Cyprus all year round. Here in the UK, back to reality, I like my summer to be summer with a good temperature of at least mid twenties and above. We, sadly, have had miserable temperatures this year so far on average in the mid teens if we are lucky and a very poor showing of sunshine. If it goes on like this, we will reach winter without having topped up on our much needed energy boost. It is a proven fact that lack of sunlight affects our mood and our bodily health as it provides us with vitamin D. Many foreigners who come to live in the UK from extremely hot countries, suffer from the lack of vitamin D and have to supplement their diet to counteract this. We natives just get grumpy! I, of course am tempting fate by writing this. It was only a few months ago that we had talk of a drought. There had been a series of very dry winters with less than average rainfall leaving our rivers and reservoirs bereft of the normal levels of water. There was talk of hose-pipe bans and the possibility that our households would be cut off from water entirely and stand pipes being erected in our streets. The result? Well we have been deluged with rain ever since and widespread flooding has occurred. The water levels surprise, surprise are now back to normal, but rather puzzlingly, we are still on drought alert!!!!! I wonder if this little blog will have the same effect on the sun? Apparently the reason we are experiencing this rather unseasonal weather is due to the jet stream being stuck much further South than is normal, get on up here JS and behave!! Yet another fantastic video from TED. Silk has been around for millennia and yet now the scientists are coming up with some mind blowing uses for this ancient material in the present day. It seems the uses are endless, throw away cups that are biodegradable, uses for storing information and drugs that can be placed in the body even for making screws that can be used to screw together fractures and then eventually disintegrate. 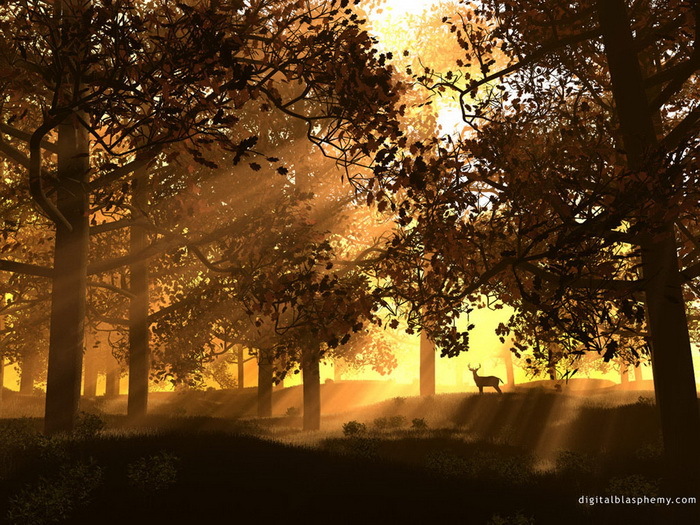 How exciting that nature can provide scientists with imagination, materials that can be utilised in such a diverse way. In Androula’s Kitchen I discuss the more well known uses of silk as a thread that is woven to produce a shimmering fabric. I live in hope that the once universal cultivation of silk worms, will once again become common in Cyprus to provide a new breed of silk weavers to join Rolandos. On my research trip to Cyprus last year I went to visit him in his studio in Lefkosia, Rolandos has studied the samples of old silk in the museum archives of Lefkosia and made a determined effort to learn the techniques which produced such fine examples. Cyprus was once renowned throughout Europe for its fine silks and the practice has gradually died out, the last time silk was produced was in 1960’s. Rolandos alone at present is looking to revive this tradition and I look forward to viewing his new creations on my next visit.